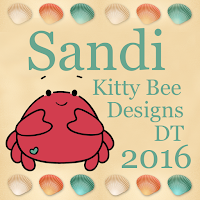 I am spotlighting the Easter egg bunny over at Kitty Bee Designs today! 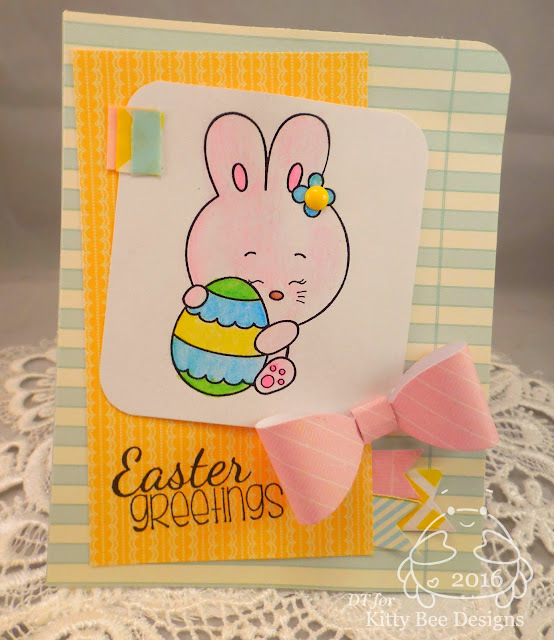 supplies: papers-solar white cs(neenah), family ties (pebbles), little bo peep (crate paper): stamps- easter egg bunny (kitty bee designs) and easter greetings (unity stamps); ink- onyx black(versafine) and die- small bowmaker (amuse studio). Fan-tastic Tuesday...Easter or anything goes.